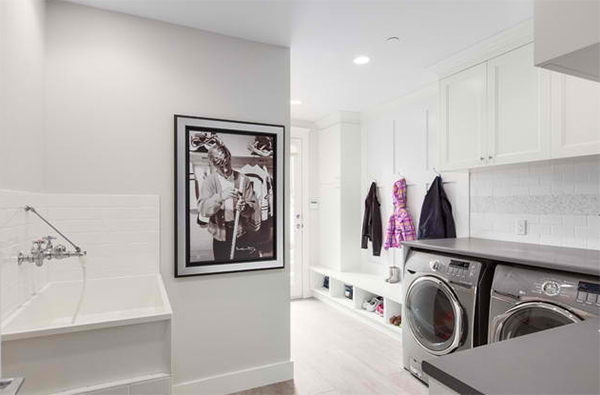 Aside from the living room, bedroom, and other areas of the house, there are some spaces that we have too but are sometimes taken for granted, just like a laundry area. 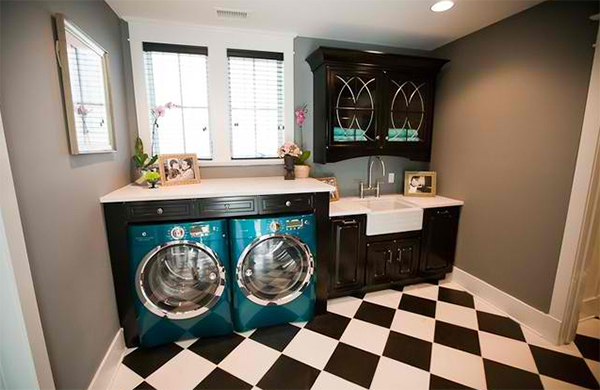 We have featured a list of laundry areas before which were surprisingly beautiful! Today, I collected some laundry areas with specific gray wall colors and accents in them. 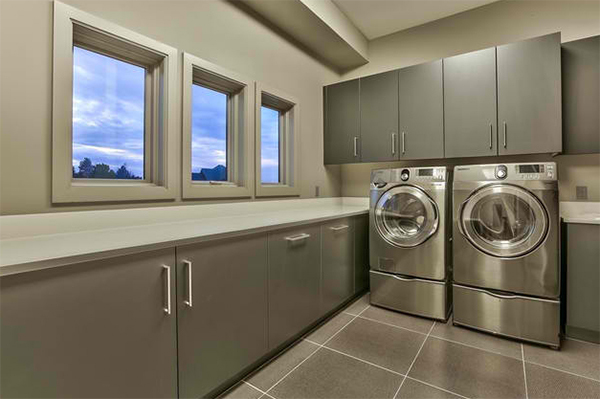 Gray is the most common color used for laundry areas but it doesn’t mean that it would look dull. It just depends on how you decorate it or what other styles you will add to it in order to avoid that dull look. Well, if you think your laundry area really is a ridiculous space in the house, maybe it’s time to do a makeover. 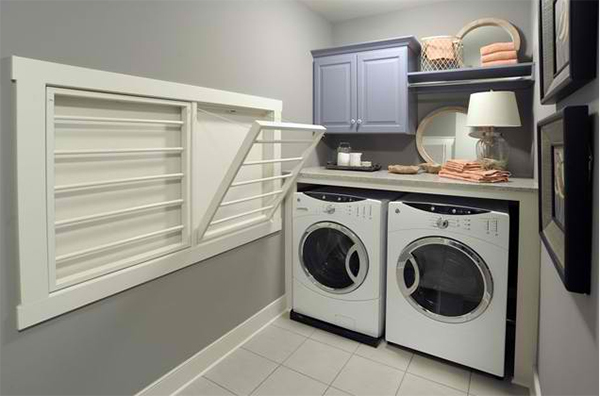 Look into the gray laundry rooms below and prepare to redo yours! 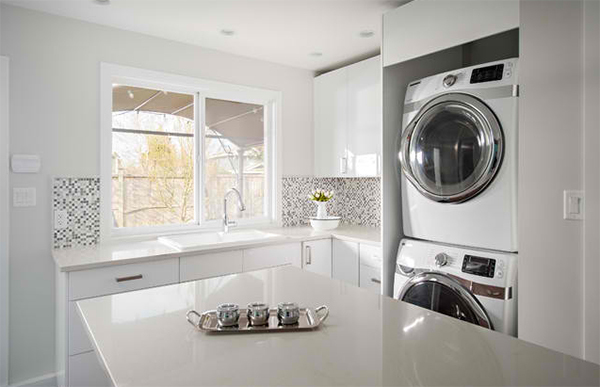 Having a window in the laundry area allows light to enter the space adding more life to it even if you feel tired doing the chores while in it. Subway tiles for the laundry space fitted well to this modern working space in the house. I love the gray sleek lines here as well as the windows that are smaller but higher. 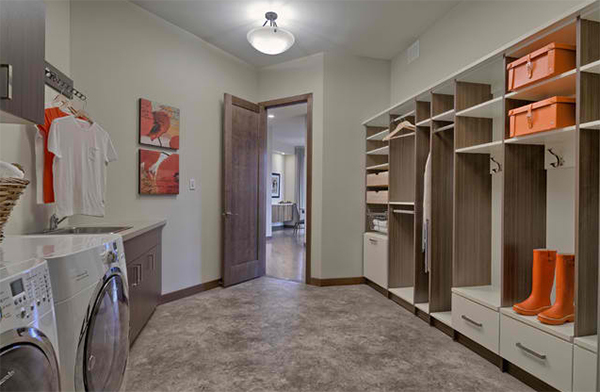 You can combine a mud room and a laundry space same as the interior above. 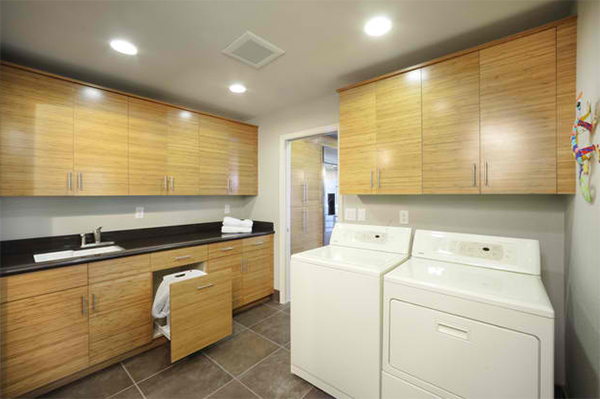 A modern laundry area with sleek cabinets for clean streamlined look. 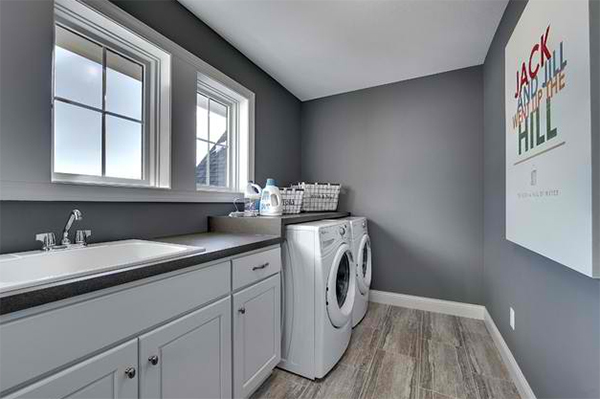 Dark gray cabinets create some depth to this small laundry space. Good thing that it is well lighted to avoid the boxy effect. 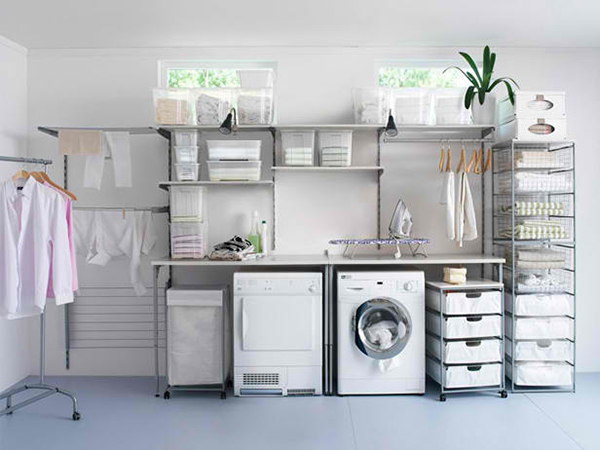 Got a simple laundry space like this? Why not put a wall art to add some artistic flare to the area. 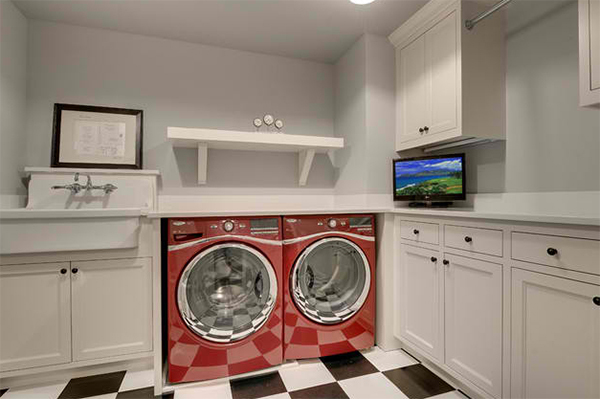 The red dryer and washer are sure bold pieces in this laundry area. Light gray walls and white cabinets paired well with the black and white flooring. 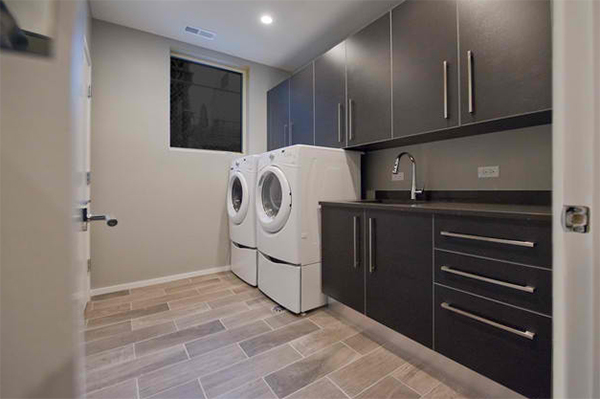 Gray patterned wallpaper covered the walls of this laundry area with ample storage spaces. 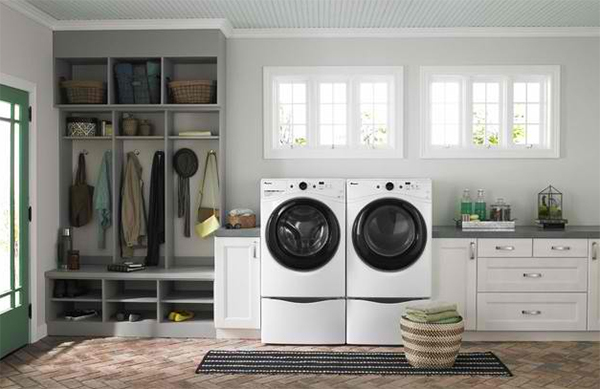 A laundry room doesn’t have to be cluttered. You can keep everything in order vertically like what they did here. 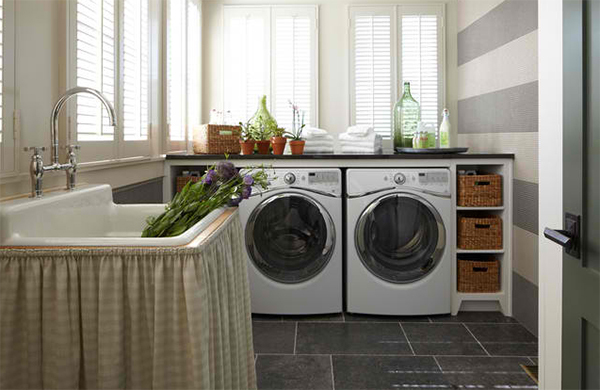 What I like about this are the baskets for storage placed on both sides of the dryer and washer. The texture of wood and the flooring looks nice with the gray walls. The window bring in natural light to the space. Gray and blue are used for the walls of this small laundry space. The striped Roman shade adds charm to it. 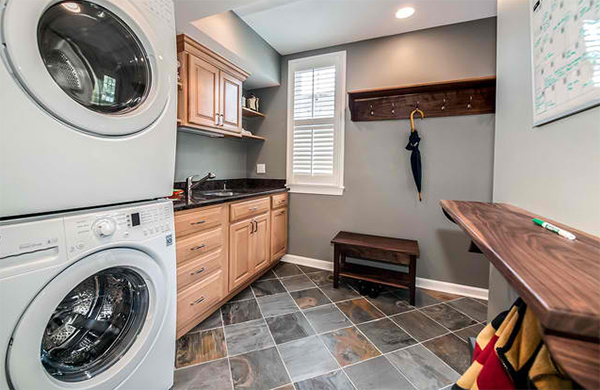 I like the design of this laundry area from the floor to the hanging cabinets. 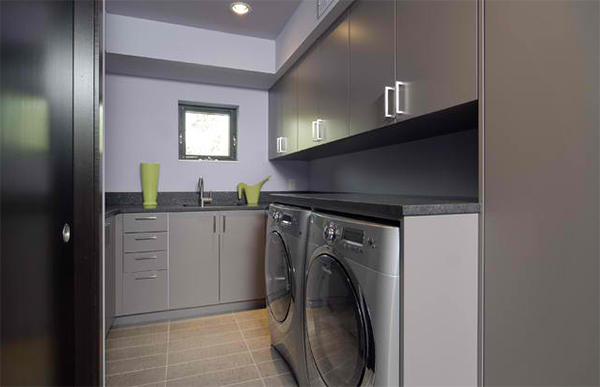 And yes, the color of the dryer and washer are great contributors to the appeal of the space too. 15. 64 Deer Pointe Dr.
Gray looked lovely here as some pops or orange are seen on the wall painting. That sink is unique and beautiful! It looks perfect with the design of the cabinets too. 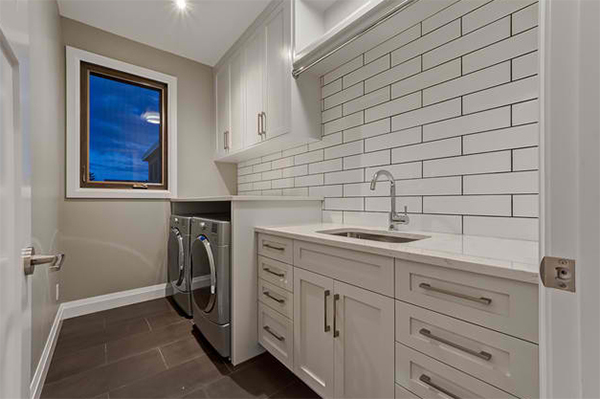 This kitchen and laundry combo is small but the space was maximized really well. 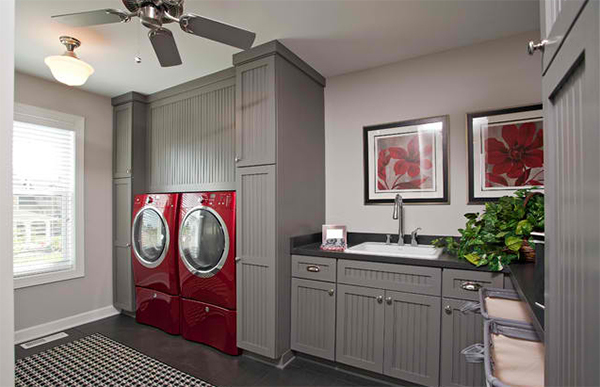 Grey painted cabinetry and dark flooring are just beautiful especially with the red washer and dryer. 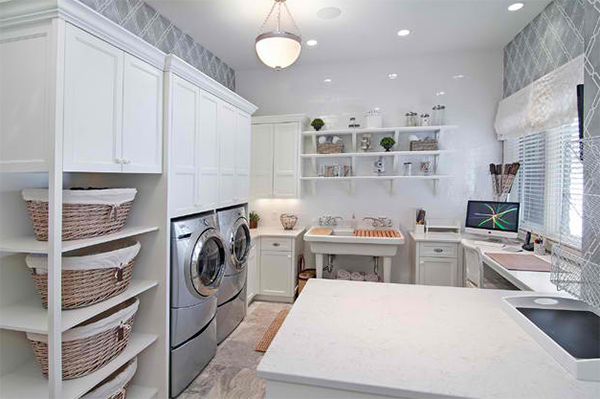 You can combine a kitchen and laundry area just like what they did to this one. 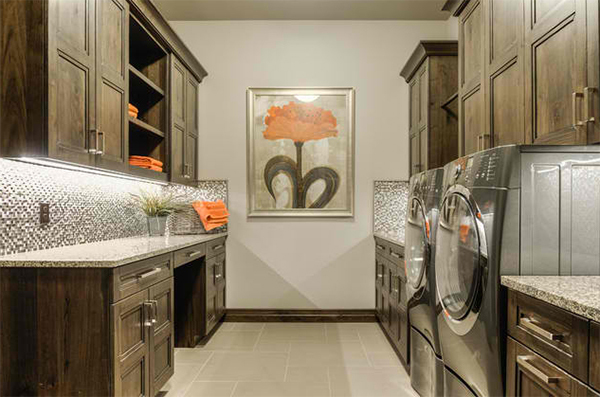 One can go stylish with a laundry room like this with a textured wall and pops of peach. 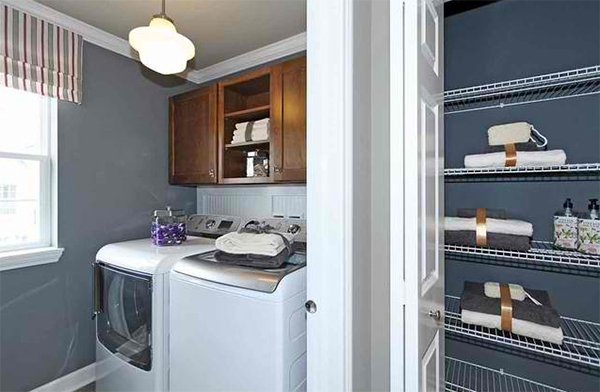 A small gray laundry area with a small hanging cabinet used to store stuffs. One way to add a personality to a laundry space is to use jars like this for storing detergents, fabric conditioner and others. 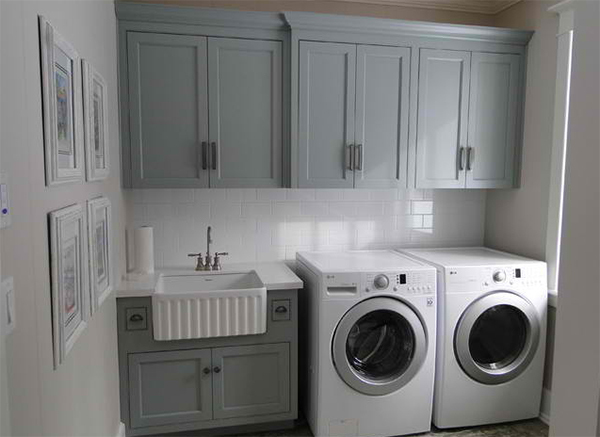 A home that is elegant and timeless has this laundry area with gray colors. The photo in black and white framed on the wall just fits the space very well. Told you so. 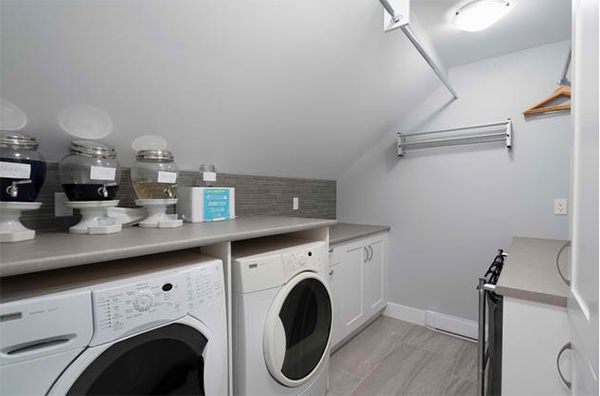 A laundry area still has some design variations even if you think it is actually a boring place because it is merely dedicated for your laundry chores. But you can still add some style into it especially with your storage. 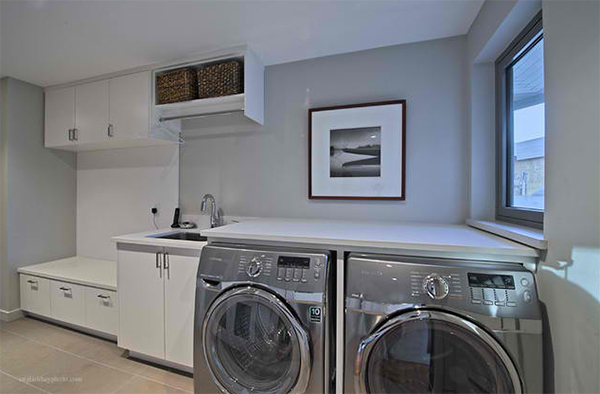 We have more laundry areas to show you with this list of neat laundry areas we collated for you before.